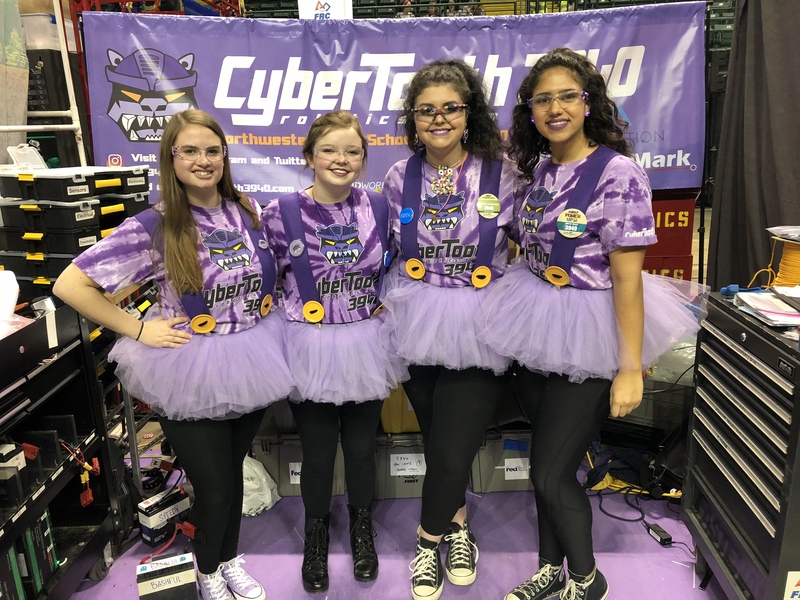 Our team was given the amazing opportunity to travel to Dayton Ohio to comp ete in the Miami Valley regional Event with team 868 Techhounds and team 234 Cyberblue. It was amazing having some other Indiana teams there. Because we were the only Indiana teams, we coordinated an, Indiana team only ice cream party. 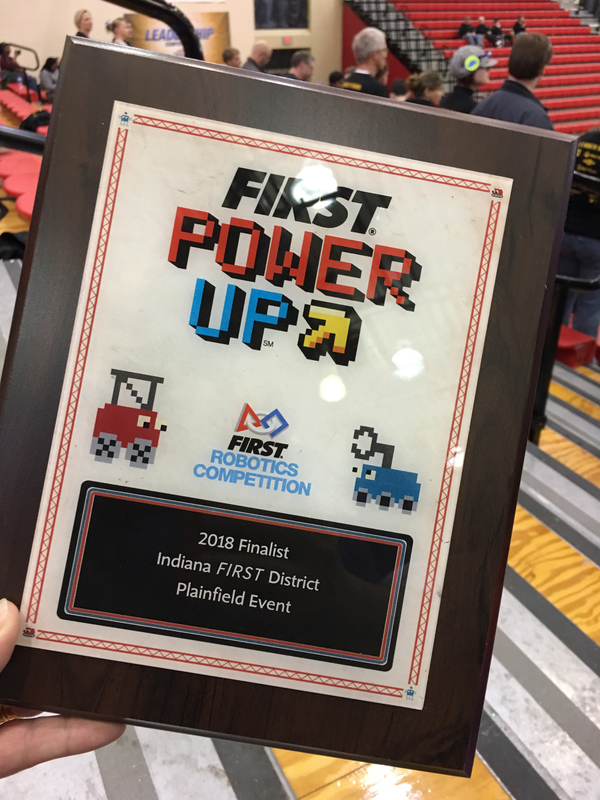 We were pleased to win the imagery award, but other than that, experience was the only other thing gained from our trip to the Miami Valley Regional Event. We always enjoy going to this event; We really enjoy the venue. Here we were a picked along with team 4485 Tribe Tech by team 234 Cyberblue to compete. We were knocked out in the quarterfinals, but we really enjoyed competing with our alliance. We did continue to win the imagery award, so at least we weren’t going home ugly! 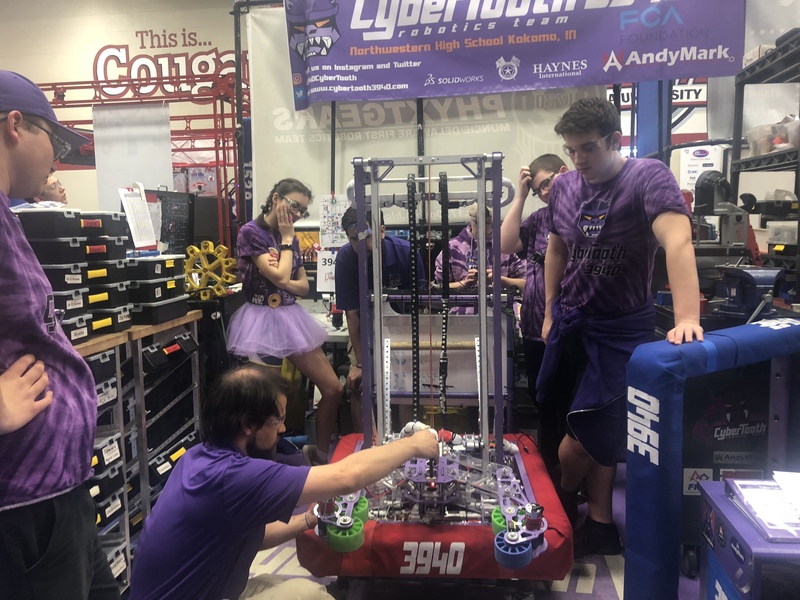 Cybertooth was a finalist with teams 829 The Digital Goats and Area5188 at the 2018 Plainfield event. We also received the quality award. At this competition one of our seniors on the team, Carleigh F. got to pie our mentor, Andy Baker in the face. Cybertooth is extremely proud of these accomplishments. We were extremely happy to have state in our home city, Kokomo. At state we had an outstanding run, we were picked for the second seed alliance and although we lost, we did continue to win the Team Spirit Award. We think it was all that glitter that put us over the top! Our team was selected from the Wait List to attend the World Competition in Detroit Michigan. We competed on the Carson Field and made it all the way to the semifinals. We are extremely proud of our Worlds experience. Previous postEND OF BUILD SEASON!